Dec 19, Beech Mountain Resort, Beech Mountain NC. Robbin's Run and Powder Bowl are now open! Check our trail map for conditions. Snowfall is continuing to accumulate and Beech Mountain Resort will be opening more terrain ASAP. The Beech Mountain Resort Shuttle will be available for transportation through the weekend. Ice Skating is now open and The Beech Tree Bar and Grille will host Live music tonight starting at 8PM. Open this morning at 9: 00 am. 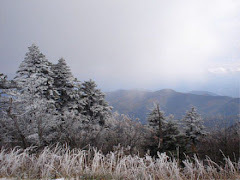 Dec 12, Appalachian Ski Mountain, Blowing Rock NC. App. reports great conditions for the weekend. No snowmaking is in progress. After the fourth night of snowmaking this season, Appalachian now has a very conservative 40” – 60” base on 8 slopes. Snowmakers enjoyed excellent snowmaking temperatures last night with a low of 22, no wind, and seldom seen 12% humidity. With 8 slopes open and a fairly deep base, skiers will find mid-season like conditions. Good snowmaking temperatures are forecasted for Tuesday night through Friday night of next week, so the remaining unopened slopes should be open by the weekend of Dec. 19th. 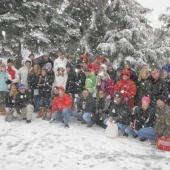 We Have Holiday Availability for Ski Lodging! Ski Boots and Poles on sale! Snowboard and Fleece Jackets on sale! Name Brands at Outlet Prices. Deal of the Day changes every 24 hours so check daily to find a great price on the product you need. Dec 5, Cataloochee Ski Area, Maggie Valley NC. Open Saturday on three slopes from midstation down and two lifts on a base of 6-10” with one session of skiing, day skiing only from 8:30am – 4:30pm with a morning or afternoon half day rate also available. Weekday and student rates are in effect on Saturday. Cataloochee is currently on the early season operating schedule of 1pm until 10pm Monday through Friday and 8:30am – 4:30pm Saturdays and Sundays through Sunday, December 13. Regular operating schedule begins December 14. Midweek season passes will be valid everyday through Friday, December 18. Dec 6. 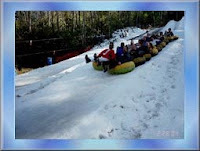 Cataloochee Ski Area, Maggie Valley NC. In conjunction with Haywood Christian Ministries, Cataloochee Ski Area seeks to help with the increase need for food and warm winter coats for special families. We ask all Cataloochee skiers and snowboarders to bring at least 10 cans of food or a winter jacket of any size that is in good condition to the ski area on Sunday, December 6th and you will receive your lift ticket on that Sunday from 8:30am-4:30pm for FREE! It’s a $53 value.